In our series of viewpoints from African journalists, Elizabeth Ohene, a minister in Ghana's former NPP government, flicks her thermometer and wonders when the personal should become public. Should we or should we not be told about the state of the president's health? In Ghana we have always gone for the extreme privacy option. Our leaders are never ill and indeed as I have said in these columns on another occasion, our leaders do not even get tired. And they certainly do not die. The chief or king in the traditional set-up only ever "goes to his village" - it is treasonable to say he has died. 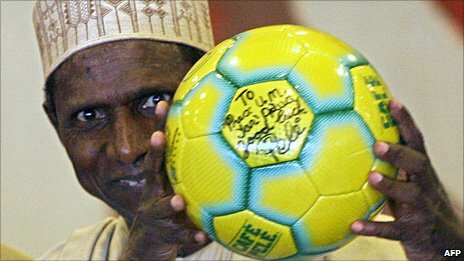 We all watched painfully the theatre of the absurd played out in Nigeria when President Umaru Yar'Adua was ill.
To the bitter end, it was never acknowledged that he was ill. I told myself those around President Yar' Adua must be well versed in the history of illness of African leaders and they were taking no chances. Cast your mind back to 1982, President Ahmadou Ahidjo of Cameroon was persuaded by a team of doctors in France, at least that was the informed gossip, that his health was so bad he was not likely to make it to the end of the year. Ahidjo stepped down and handed over power to his prime minister and preferred successor, Paul Biya. Two years later, Ahidjo found himself still alive, indeed, in good health and being ignored by Mr Biya. He then tried to stage a coup d'etat; it failed and he ended up in lonely exile in Senegal where he died almost 20 years later. The lesson was not lost on leaders around the continent. Then there was the unmatchable first president of Tunisia, Habib Bourguiba. As his health failed, Tunisian officials found ever more ingenious ways of describing the president's incapacity: He had a chill, an indisposition, exhaustion, a minor illness, a respiratory ailment and a slight deterioration in his health. While officially suffering from insomnia, Bourguiba often medicated himself and was a veritable walking drugstore between self-administered drugs and the medications his various physicians were prescribing. Finally, Prime Minister Zine El Abidine Ben Ali galvanised the inner circle of officials who called a panel of physicians to certify Bourguiba's permanent inability, in what has been called a constitutionally sanctioned, medically facilitated coup d'etat. Mr Ben Ali became president. 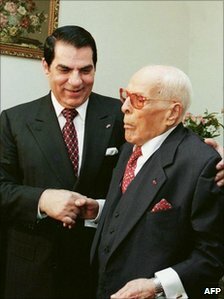 That was in 1987, Mr Ben Ali is still president - Bourguiba lingered on and only died in the year 2000. For a man who was not expected to make it to the end of 2008, to even get elected or so we were told by people in the know, the Ghanaian President John Atta Mills has survived with amazing agility. And yet the rumours persist. The latest stories were sparked by the fact that the president's palms have turned alarmingly black. After weeks of speculation in the media, one of the president's spokespersons has offered an explanation. The president, we are told, is well, his darkened palms are a reaction to some medication given to him by his doctors. We have not been told what the medication was or what condition the president had to necessitate taking the drugs in the first place. But the spokesperson assured us the president is very strong and stable, and has been given a clean bill of health by all the doctors. He said the president still gets up at 0430 every day and does his exercises, and is still the same sports person he has always been. Somehow the image of our president getting up at 0430 every morning as though he has a wicked stepmother who is whipping him out of bed to do the chores, is hard for me to take. And I wonder if the president being the same sports person he has always been means he is back playing field hockey, which was his favourite sport. When I see photos of him these days he is almost always dressed in some wickedly sharp suits, his weight loss seems to be meant as an inspiration to the rest of us who are overweight to tackle our excess fat. African leaders and rulers are 'gods' who neither get tired nor fall sick. Never mention death. They only go for check-ups overseas and never visit any local hospital for treatments. This is understandable noting that only the sick goes for treatment while the demi-gods only need to refresh at the point of check-up. It is a direct expression of not just the chasm that exists between the led and the leader but also their self-exalted state of pseudo-divinity. While a poor man is killed, a leader/ruler is assassinated; the poor walks while the ruler/leader strolls. Our leaders/rulers should remember that they are humans and as such, subject to the dictates of the humans laws - therefore, situations should so correctly be expressed. I remember when my father told me this in whispering voice "He heard from reliable sources that Haile Sellasie was ill" followed by not to repeat this to any one. Not too long after that he was ousted and killed. I firmly believe he was some how delusional and had an onset of Alzhaimer's after his 80th birthday. This all was hidden NOT only from the public but from his own childers and family members. Had they known, they would have staged a fight rather than fleeing the country. I still cannot fanthom why the journalist in Ghana who jump into every socio-political, religious and economic fray would allow such dust to be thrown into the eyes of the general public. First of all, the signs are clearly on the wall that this man is seriously struggling with his health. His weight loss is simply inexplicable, and now the darkened palms which cannot be hidden from the prying eyes of the citizenry who care about their leader. An Akan proverb rightly puts it that,"if one does not disclose his/her illness, the appropriate cure will equally not be found." Now the question is, for how long will ordinary mortal individuals who have been empowered by the thumbs of the people, continue to behave like demi-gods? Name some past and current African presidents who were, are or are suspected of being ill: Mobutu, Omar Bongo, Lansana Conte, and now Abdoulaye Wade, Paul Biya, and the list goes on. These illnesses may be God-inflicted after a number of years spent in absolute power (with the people in misery) and a strong desire to stay in power by all means until death. Such is the tragedy of leadership in most African countries. Unfortunately, it is not the lack of skilled and qualified leaders from a younger generation. Could dating contracts save the lives of Namibian lovers? Sola Odunfa: Why have traditional rulers? Nigeria's two main presidential candidates sign an agreement to prevent violence in tightly contested elections due on Saturday.